The process of using a mesh-based stencil to apply ink onto a substrate, whether it be T-shirts, posters, stickers, vinyl, wood, or other material. It’s time to bring your design to life with Precision Printing Professionals. We are confident that you will find us to be one of the most reliable and efficient Atlanta, GA screen printing establishments. Graphic design is the process of visual communication, and problem-solving through the use of type, space and image.Graphic design use includes identity, publications (magazines, newspapers and books), print advertisements, posters, website graphics, signs and product packaging. Dye Sublimation, as a process is really very simple. It is the method of applying an image to specially coated ceramics, metals and polyester cloth, using three main ingredients: sublimation ink, heat and pressure. Sublimation ink is unique in its ability to convert from a solid to a gas without going through a liquid form. Banners can be used for a range of purposes. Bring them to conventions to increase brand recognition and value, or use them in house to call out new products and promotions. For nearly every event your company hosts or attends, a custom banner can help spread your marketing message. Empowering the community through our printing! Powerful Quotes – Won’t Jesus Do It!!! Taken – Stop Human Trafficking! 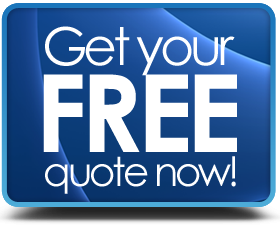 Select the package that meets your needs best or contact us for a free custom quote! Founded January 2nd 2015, Precision Printing Professionals™ is a full service Screen Printing, Sublimation and Banner Printing company that is all about bringing your design ideas to life. Owner Geoffrey Lewis has a history of successful business development, marketing, and community outreach initiatives, allowing him to bring a fresh perspective and an innovative approach to the screen-printing industry. Precision Printing Professionals™ combines Lewis’s passion for service to others with his proven skills in business. Our clientele consists of individuals with innovative ideas, local groups, non-profit organizations, and various businesses from start-up companies to established franchises. If you can think it, we can print it. We print with a purpose! Our aim is to use our business as a platform to empower underfunded small non-profits and community organizations, allowing them to make a greater impact and achieve better visibility. We don’t just print apparel; we add color to your dreams. Thanks so much for your professional, quality, and quick turn around time! I would recommend Precision Printing Professional’s for anyone looking to achieve professional and quality results. I look forward to working with you again soon! I am so glad to have worked with Precision Printing Professionals! Great quality products, excellent customer service, very professional and detailed in their work. I would highly recommend this company for any and all of your printing needs. Looking forward to the next order! Precision Printing Professional did a great job for my softball team! Mr. Lewis was very professional and helpful. I called and needed an order within a short amount of time and Precision Printing came through for my girls. My girls loved their jackets. I told Mr. Lewis to make the jackets look good because I had no idea what I wanted and he did! Great job and I will definitely use them again. Precision Printing Professionals provided professional and timely service. The printing is very high quality. I am a satisfied customer. Awesome service. Quick replies and great product! Founder of Know Money Inc. Precision Printing Professionals will have you looking right!!!! If you are looking for a printing company that can do anything, I highly recommend Precision Printing Professionals. Precision Prinitnng Professional was definitely good to us. Very professional and delivered high quality shirts to us very quickly. We will sure surely recommend this company to others! Talented, Amazing, professional, patient, and kind. I think these words should describe anyone you trust to bring your vision to life and these words definitely describe the owner of this company. I am so glad that I worked with him and I can’t wait to see him being my next project to life! Precision Printing Professionals does great work! I’m from out of town and their delivery was timely and when it arrived the shirts smelled SO GOOD! I would DEFINITELY recommend them to anyone I know. Excellent service is so hard to come by now a days so thank you again so much for doing exemplary work!! There’s no need to look any further! Your professionalism, patience, and talent rates you #1 in our book! Thank you for your quailty prints! You have a customer for life! Excellent customer service and great work. The turnaround time is awesome and the work looks GREAT. Precision Printing Professionals is a great company. The employee’s are very creative and the quality of their work shows in each print made by PPP’s team. Lead with Precision! On the way to DC we taught the young Men about economy and owning a business! 10.10.15 The 20 year Anniversary of the Million Man March! A gathering of Millions for Justice and Unity! #giveback #roadtrip #washingtondc#omegapsiphi #BlackMen #BlackRhinos #dmmques#justiceorelse #leader #mentor #millionmanmarch#beardgang #blackempowerment #screenprinting#screenprint #brand #blackowned#supportblackbusiness #supportblackownedbusinesses #graphics #design #precisionprintingpros — inWashington, District of Columbia. We were founded January 2nd 2015. Precision Printing Professionals™ is a full service screen printing company that is all about bringing your design ideas to life. We print with a purpose! A portion of our sells will be donated to small non-profit organizations that make a Big Impact in the community. Call us today! 510-842-PROS We would Love to print for you! “Post it Up” campaign to Stop Human Trafficking! My goal is to provide you with the best printing experience ever! I will work hard to establish and maintain your business.